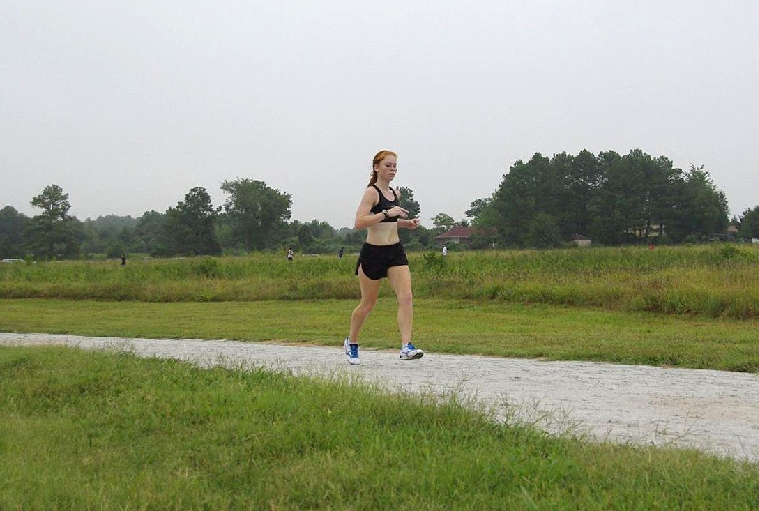 This morning was Ashlee and Payton's Cross Country Time Trial. This is the first officially timed race of the season to see where all the girls are and how they are doing (not to be confused with the pre-season time trial). I am sure there is much more to it for the coaches. They run the race at a local park and they only run against themselves as a team. The park (Alexander Park) is just a couple miles from our house and I was trying to figure out how I was going to get my run in today with the time trial starting at 7:30 (dead in the middle of Saturday run time for me) I needed to run 7 miles so I decided I would get up a bit earlier and do my 7 miles and plan it to finish at the park in time to watch both the boys and of course, the girls run. The 7 mile run turned out to be really nice. I started at 5:45 which if all went to plan would put me at the park at about 6:50. It worked out perfectly and I finished as I was coming up to the start finish line and met my daughters walking with their friends/teammates. I also finished at 6:45 exactly which was precisely when I wanted to be there. The first couple miles were..... well...... the first couple miles, but then I started to feel more in the groove and it was a nice run. My splits were pretty consistent once I got past the first couple miles. My girls did awesome and I can't be more proud of them. Payton (Sophomore) took first place with a 20:49 which is about 30 seconds off of her PR which she set last year at the State XC meet as a freshman. Payton will no doubt be in the 19's before too long, especially when the faster injured girls start coming back and give her someone to chase. 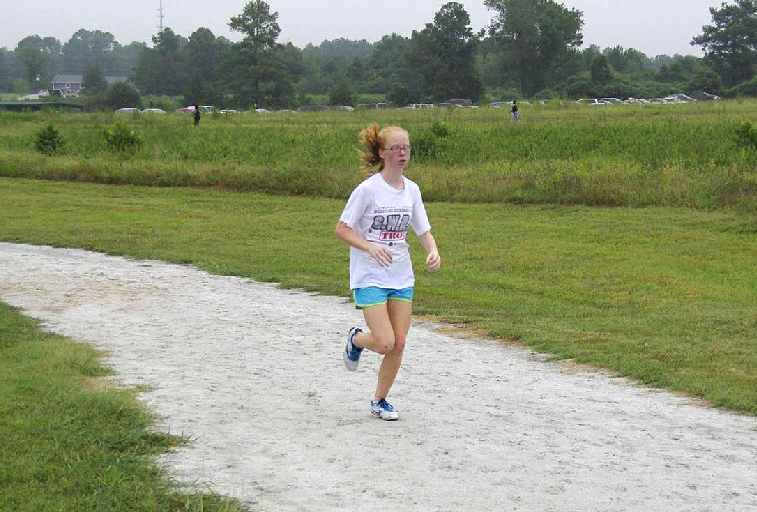 Ashlee did great as well, especially since this was her first ever XC race. She finished 21st with a time of 23:26. She will learn how to run a XC race and I am sure she will drop that time quickly. Aw, that's awesome that the trails went well. that's awesome for both of them!! i can imagine how proud and excited you are as a father and runner. i'm glad you all share a passion for such a good activity. this is so awesome!!!!! one proud dad!